Also this year the team of Bosch Hockenheim Historic is represented at the Retro Classics (07.03 – 10.03.2019) in Stuttgart. 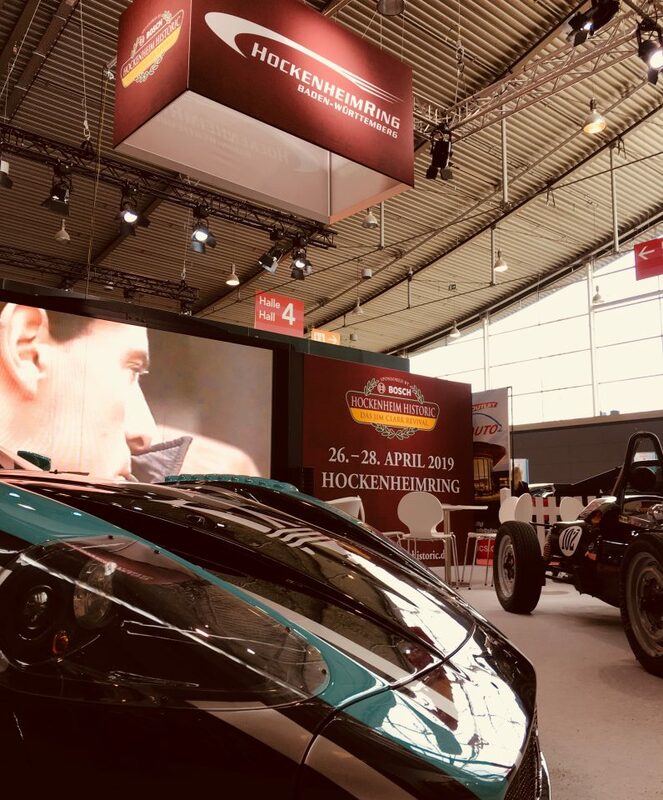 At the stand of the classic car event in Hall 4, interested visitors can find out all the news about the exciting racing series and presentation runs around the Bosch Hockenheim Historic from 26 – 28 April 2019. Of course, classic cars are not to be missed – with the Maserati MC12 and Formula Vau, two very special models are even on show. At Retro Classics, lovers of historic cars will get their money’s worth. On around 140,000 square metres you will find vintage cars, Yougtimer and noble Neo Classics. We look forward to seeing you at the Bosch Hockenheim Historic stand (Hall 4 I Stand A15).